Whether you are relocating overseas for business or pleasure, it is an extremely exciting time, but the intricate complexities of emigration can become exceptionally stressful as you liaise with multiple agencies in both countries and do your best to avoid any potentially costly mistakes. 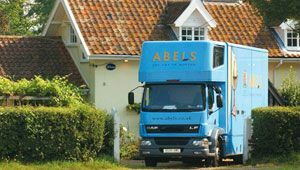 Giving you peace of mind from start to finish, our specialists in international removals and overseas shipping have many years of experience relocating families and their treasured possessions. We understand your concerns, and what is of the uppermost importance to you. Taking care of your belongings as if they were our own, we ensure that precious, irreplaceable items, such as family photographs, your child’s first drawing and you’re your daughter’s favourite cuddly toy, all arrive safely with you at your destination. Everything is carefully packed in your home by our own professional crews using the latest packing materials and techniques. This can save you money and time in a hectic process. Every home move is unique. Even more so if the move is international. Your dedicated global project manager will tailor your move plan to your specific needs and requirements. 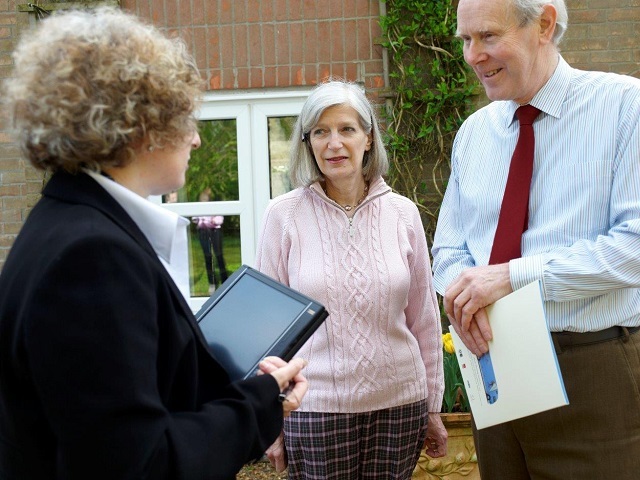 They will be on hand throughout your move; guiding you through essential paperwork and documentation. They can advise on the amount of time that your belongings will spend in transit and how they can be protected with insurance and tracking services. In short, doing all they can to alleviate all pressures associated with relocation – replacing worry and stress with anticipation and excitement. We work closely with our trusted partners overseas to provide a seamless and smooth transition to your new life abroad. 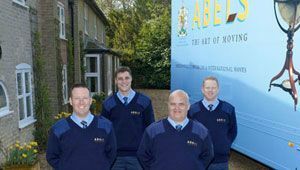 Working alongside us for many years, our dependable removals partners were specially selected as they operate to the highest possible standard and share the same commitment to the provision of excellence. 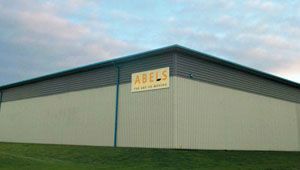 Trained to Abel’s exacting training standards, our highly knowledgeable global team are experts in complex customs regulations, country-specific emigration legislation and shipping methods providing you with the absolute reassurance that there will be no hick-ups along the way – helping you sleep easy as the big day approaches. Our professional team uses the very latest packing techniques and materials for secure international transit. We take a detailed inventory, which includes the condition of your items; these are then cross-referenced on arrival. 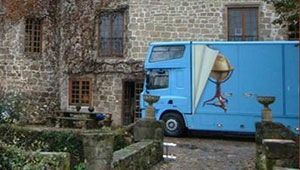 We treat your treasured possessions as if they were our own and protect them securely what the length of their journey. Our packing team expertly pack securely with the latest materials – this saves you time which you could use to spend time with loved ones you will miss prior to your departure, but as professional removers, they can save you money too. By using the latest techniques, they will reduce the number of boxes needed for the safe transit of your home. “I have moved many times over the years, both locally and four times internationally. I was really impressed by the efficiency of your crew and the ‘no-nonsense’ way they went about things. Everything was handled professionally and carefully. These guys made the whole exercise far less stressful than has been the case on may other moves. 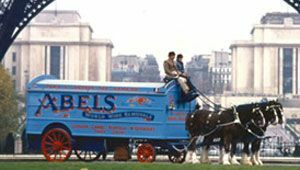 Our longstanding working relationships with our shipping partners ensure reliable, trustworthy service for the safe delivery of your valuable possessions. Our established partnerships bring the benefits of the economy to our clients, meaning you receive a premium shipping service for a reduced cost. Sea freight is the best shipping solution for the majority of people; using your own exclusive steel container which can be loaded and sealed at your home address before shipping directly to your new home country. Dependent on the quantity you are shipping there is also the option for smaller shipments to be packed in smaller wooden containers. These are then consolidated with others in a standard steel container. We also have a Groupage economy method whereby your boxes are packed securely into smaller wooden crates at our warehouse by our experienced crew. If you need your items with you in a hurry, air freight modules or unaccompanied baggage can be a fast, effective solution for urgent transit whether as your total shipment or to supplement your sea freight. 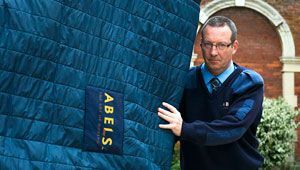 Your International project manager can advise on the best method for your belongings.